Next week's episode of Star Wars Rebels, "Visions And Voices", will be the final episode of the series for 2016. After an extended hiatus to make way for the Holidays, and, of course, the release of Rogue One: A Star Wars Story, Rebels will be back in full swing by January. We have received some intriguing information about an hour-long midseason premiere that's just around the corner. "The crew returns to Geonosis in search of a missing rebel team sent to investigate suspicious activity there, and are surprised by what they find." "After finding a missing rebel team member, the Ghost crew discovers another surprise on Geonosis, and work to conceal it from Imperial forces." It will be very interesting to see what the rebels "discover" on Geonosis and if it may somehow connect with Rogue One. Recent additions to Star Wars canon, such as the novel Catalyst and the Darth Vader comic series, have established that much of the Death Star's construction took place at Geonosis, and at some point after the Clone Wars the inhabitants of the planet were exterminated by the Empire. 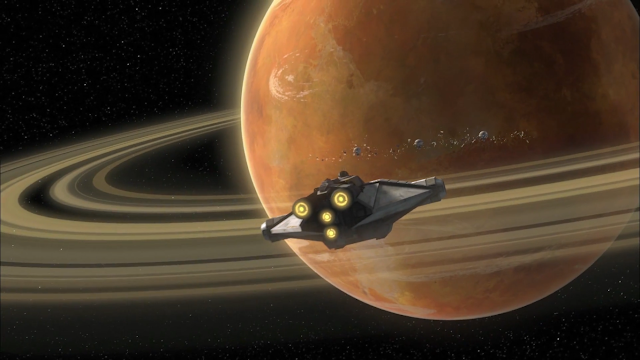 Both of those events were hinted at previously on Star Wars Rebels in the season two episode "The Honorable Ones". Perhaps these episode will shed some led on Geonosis' fate finally? We'll have to wait and see! Special thanks to our buddy Charlie Ashby from The Imperial Senate Podcast for giving us a heads up about this.